Home Politics I Don’t Support Ballot Snatching, But President Buhai’s Statement Is A Call For Violence – PDP’s Sunny Onuesoke. I Don’t Support Ballot Snatching, But President Buhai’s Statement Is A Call For Violence – PDP’s Sunny Onuesoke. 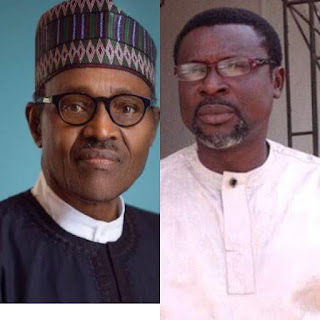 A member of the Peoples Democratic Party, PDP , Chief Sunny Onuesoke, has described President Muhammadu Buhari’s declaration that death await anyone who snatches ballot boxes during the February 23 presidential and National Assembly elections, as a call for violence. Speaking to newsmen in Warri, Delta State, Onuesoke said as President, giving orders to a trigger-happy security operative to shoot electoral offenders on sight could be very catastrophic and should be described as a call for war. He argued that such order could lead to serial extra-judicial killings of innocent Nigerians, as overzealous security agents could take laws into their hands by shooting anyone they have issues with and then arrange for ballot boxes to justify their actions. According to him, “what people should understand is that everybody is a potential ballot box snatcher in the hands of biased trigger-happy soldiers and policemen. “They will be all too willing to kill anyone, who stands in the way of any rigging done by the party they support. People are behaving as if our military and Police Force are neutral; assume that at your peril.